The High Priestess is who I, on the days I am vibing with my Scorpio Rising, consider to be my Evolved Self. I want to dive into the still waters of knowledge and use it to create, create, create. 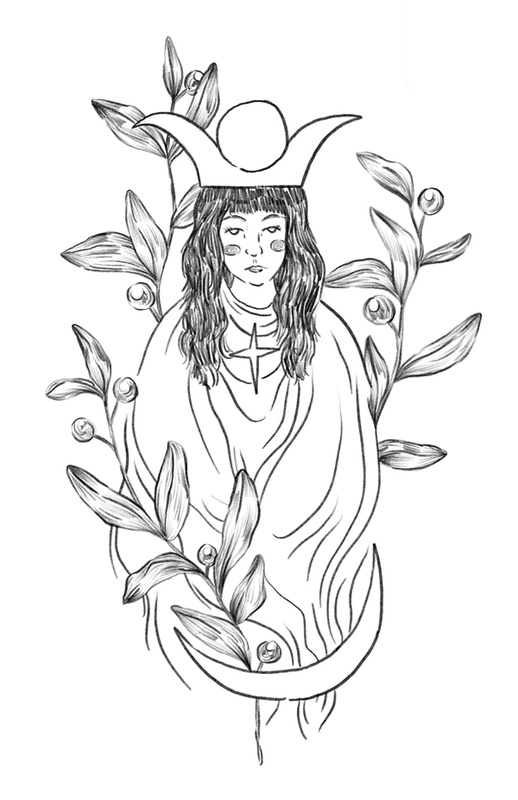 The High Priestess is where my art needs to make its home. In the ancestral knowledge of symbolism, herbalism, magic, and the earth. The powers of all those things run through my veins because they've been passed down. I love them, I love my past even when it hurts me. I am here to know and learn and dive deeper.